so you may remember me sending you an email about the newest new life worship recording "my savior lives". 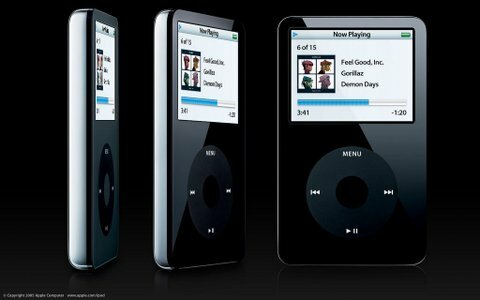 well, one of the reasons was because i was on the street team to help promote it, one reason was i actually liked the album, and one reason was doing a list of things to help promote it entered me into a contest to win one of these...a 30gig ipod. it turns out that while many of us did most of the stuff, that only two finished everything and turned in their paperwork for the contest. but the album has been doing well, so integrity music decided to equally reward the two that finished everything. therefore, i am now the proud owner of a black 30gig ipod! so thank-you for putting up with the pestering about the album, but it paid off...boy did it pay off! as a side note, i want to apologize to jeff m. that i can't give you that shuffle i had that i told you i would give you if i happened to win this ipod, on the account that that shuffle i was going to give to you, and i was going to give it to you...was in fact, washed and dried with the laundry and is now defunct. sorry.